Core activities from the Tangata Tiriti – Treaty People workbook are available for download under each of the chapter headings below. For the full publication please order your copy of the book. 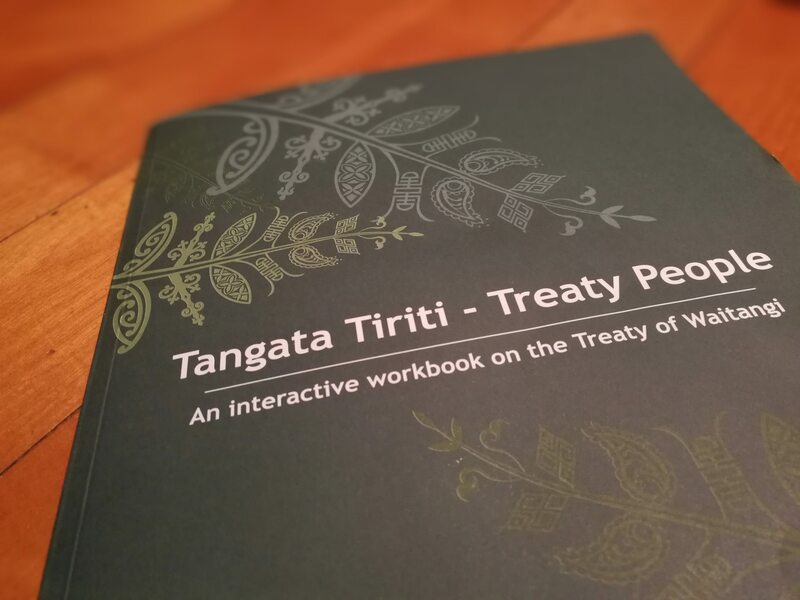 Introductory activities in this chapter allow participants to consider why the Treaty is relevant for them and invites them to introduce themselves as Tangata Tiriti – people of all backgrounds connected to Te Tiriti. The world of the Treaty includes activities which give important context to understanding the Treaty of Waitangi: who was in Aotearoa at the time of the signing and why the Treaty came about. It also includes some key Māori vocabulary needed to understand Te Tiriti o Waitangi. For all activities listed, please order your copy of the book. Te Tiriti o Waitangi activities give participants an understanding of what Te Tiriti o Waitangi says, what its signatories agreed to and the differences introduced in the English text. From then ’til now takes participants through the history of treaty breaches and colonisation that has happened since the signing up until the present day. Culture matters contains discussion activities which enable participants to explore issues around being in minority culture in Aoteaora/New Zealand. From suitcase to kete invites participants to explore their place in the Treaty relationship and what steps they want to take to contribute to that relationship in Aotearoa today. Where we stand/Where do we go from here?